We believe caring for the life and space around us is essential to caring for each other. Join us to grow food & medicine, care for pollinators, create community art, learn and more! Growing food is important. Its nutrition is superior, its environmental impact is helpful, it's a way to de-stress and connect with the world and neighbors. We are just one piece of ecology and have an important role to play in how our ecology plays out. Whether you're a seasoned garden expert or totally green newbie, let's grow together! We currently meet every week on Tuesday morning from 9:00am-12:00pm. Pollinators are important. They enable our food to grow and plant life to thrive. Bees are currently endangered, which is not ok. They are crucial ecological players responsible for critical things...like our food and oxygen supply. NO BIG DEAL. Come learn how to care for bees, help us care for our four hives, or even gain confidence to raise bees of your own. 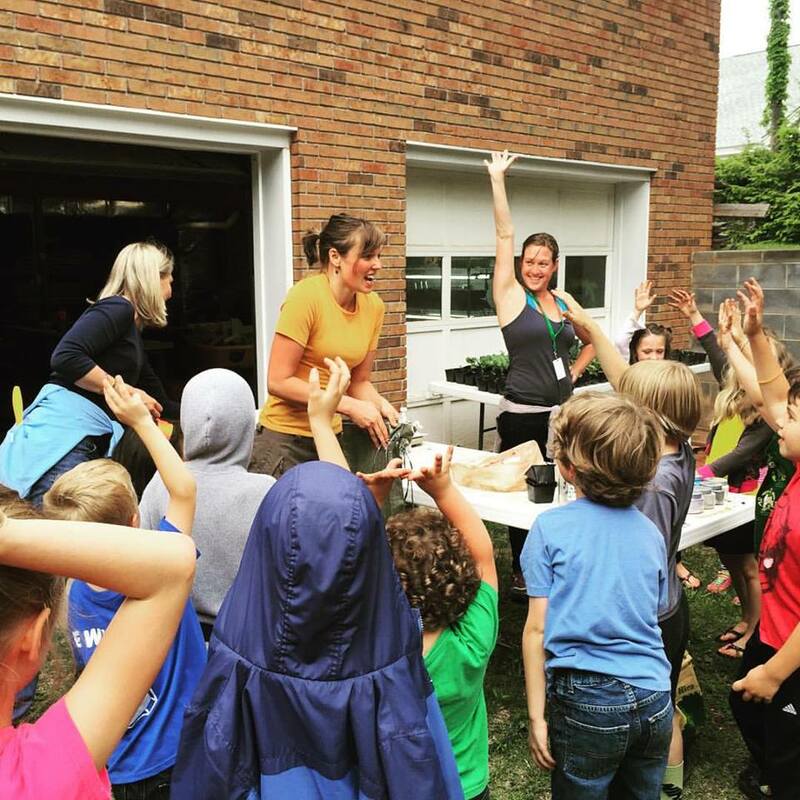 During the school year we host a bi-weekly kids gardening class called Homegrown Kids. We are also getting ready to teach chicken care (featuring our new resident chickens!) We are building a new hoophouse to grow food year round and start seedlings for use and sale. Check it out and get involved!